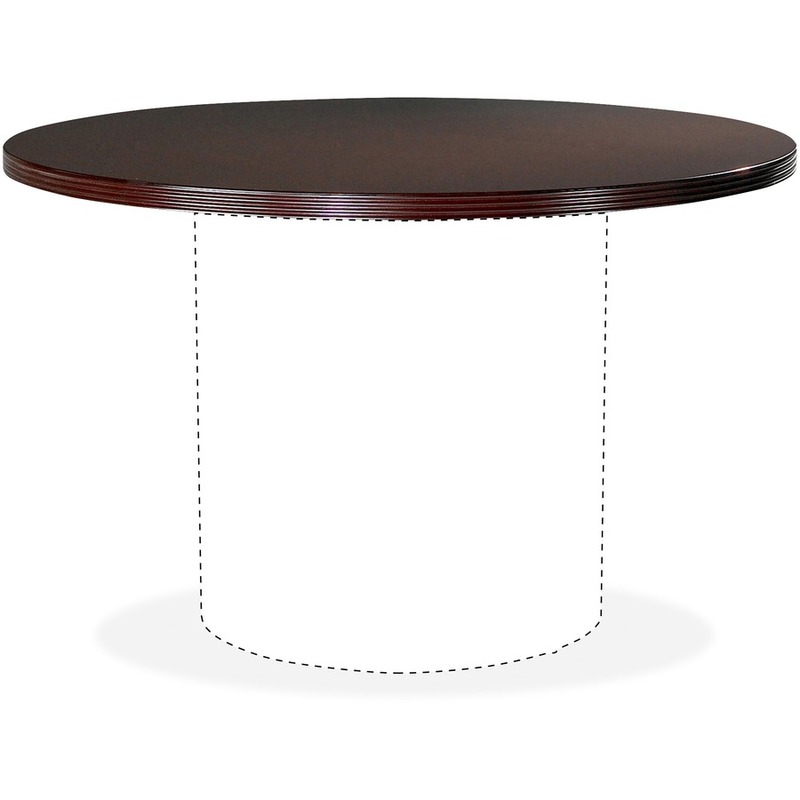 46" wide x 42" deep x 1-1/4" thick hardwood veneer, mahogany finish Round Tabletop features hardwood veneers on all exposed surfaces, book matched to produce a uniform grain pattern. All surfaces are varnished for maximum durability and to resist scratches, stains and other damage. Contains post-consumer recycled material and is Greenguard Indoor Air Quality Certified. Comfortably seats four. Top and base are sold separately, so you need to order both. Dimensions: 1.3" Thickness x 46"